Unlock the insights hidden within your customer interactions. Through the power of simple, intuitive dashboards, SNAPanalytics lets agents and supervisors stay on track and best of all it is already included in SNAPsolution! SNAPanalytics is a live reporting tool that empowers call center operators to boost performance and customer satisfaction through actionable analytics and persona-driven customization. 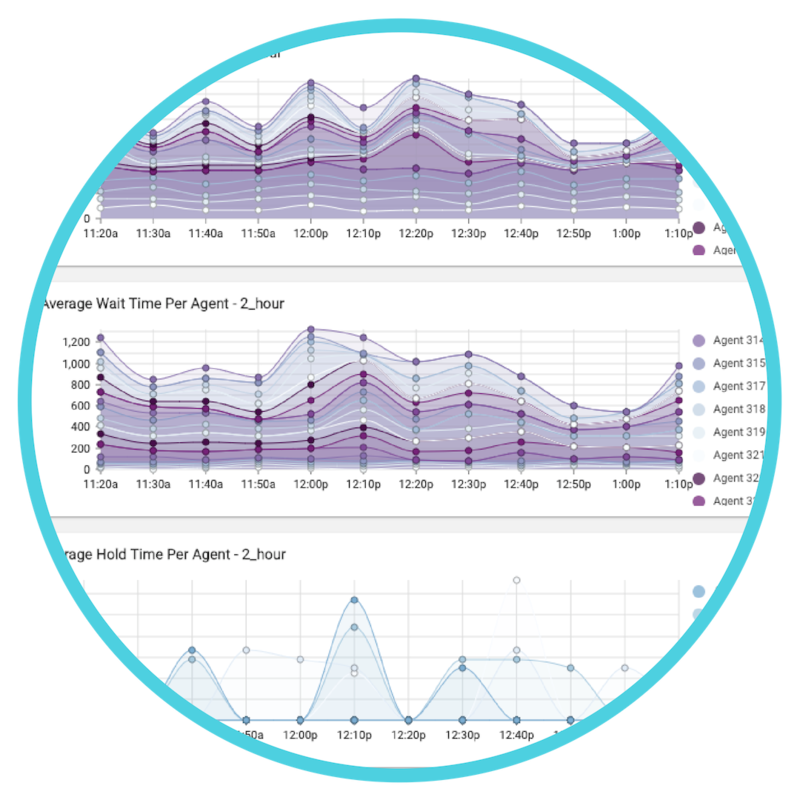 With customizable dashboards and separate views for supervisors and agents, SNAPanalytics offers real-time granular insights into a call center’s daily operations. Across the spectrum of key metrics that govern a call center’s operations, SNAPanalytics lets its users search, filter and customize the data they care about most at a glance, allowing them to identify trends and adjust accordingly. With the ability to save customized views and set up real-time alerts, managers will be able to see the data they need when they need it – that way they can address issues before they turn into larger problems that affect customer satisfaction and revenue. 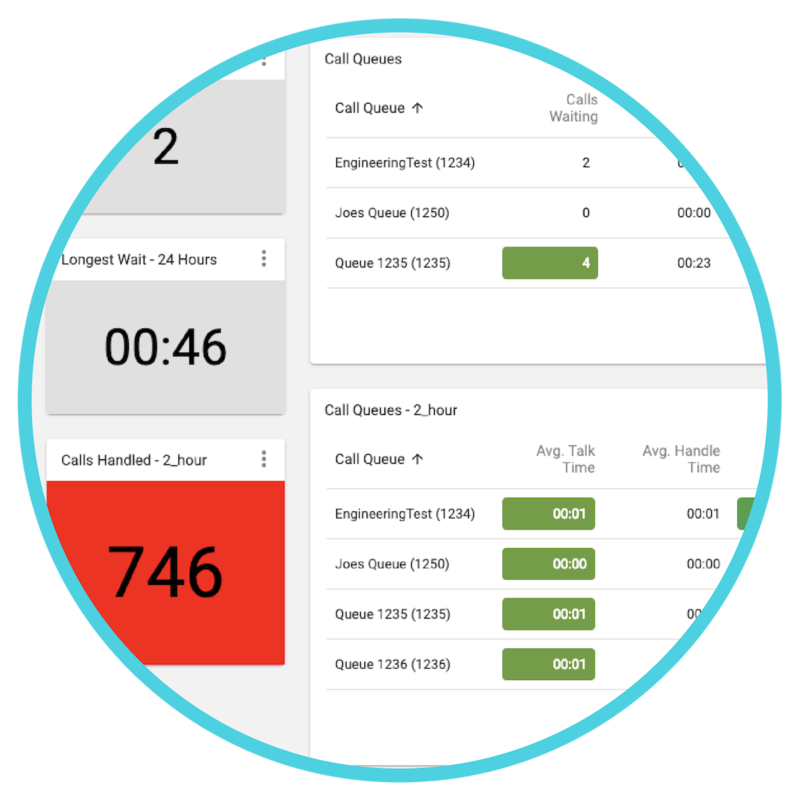 Gain a comprehensive overview of your call center activity with real-time dashboards and live data. Visual and audible alerts when configurable thresholds are hit. Boost call center performance with actionable analytics that ensures consistent customer engagement. Effectively managing your call center performance begins with easy and timely access to relevant information. Give your call center supervisors the tools they need to pinpoint and troubleshoot problem areas quickly. Protect your existing investment with seamless 3rd party web resource integration. Illuminate your way forward with data. Today’s call centers are busier and more complex than ever. With a need to handle high volumes of daily calls and satisfy a long list of key performance metrics, call center supervisors and agents need easy access to pertinent information in order to improve efficiency and address operational issues before they negatively impact revenue. Simplified access to real-time analytics and data customization are crucial to the success of a call center’s operations. In this report, we examine how call center managers can leverage data to the benefit of their business. Please fill out this form and we will be in touch!